Acme LPG fill point adaptor to UK autogas - GAS IT Leisure Gas Bottles, Gas Cylincers and Gas Tanks - Catering, Motorhome, Campervan, Caravan, Farrier and Road Repair Refillable Gas Solutions. 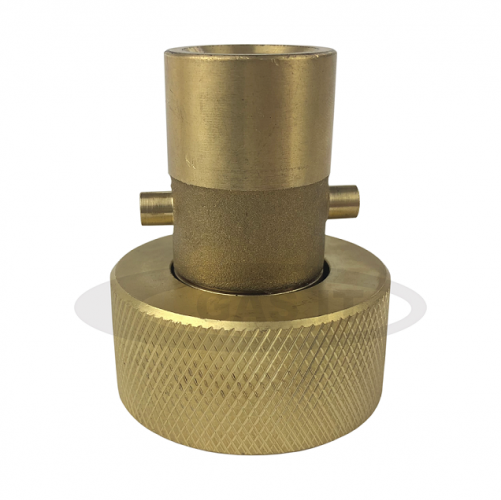 This is a quality GAS IT filling adaptor that allows any ACME fillpoint (Belgium, Germany, Republic of Ireland, Luxembourg, USA) to be converted to allow you to fill your autogas system in the United Kingdom. This part simply screws by hand into the vehicle's existing ACME fill point and is then removed to get back to your original fill point. Made of top quality brass.